Home » News » POINT BLANK: Fall of BJP – Will it Rise in 2018? POINT BLANK: Fall of BJP – Will it Rise in 2018? The whole world loves the winner, declared Indira Gandhi after winning a landslide victory in 1971 Lok Sabha elections, held a year before the normal 5-year term. She got 362 seats out of 520, a two-third majority. A similar feat was delivered by BJP under Narendra Modi in the 2014 Parliamentary election by winning 282 (NDA-336) seats out of 543. Let it be. 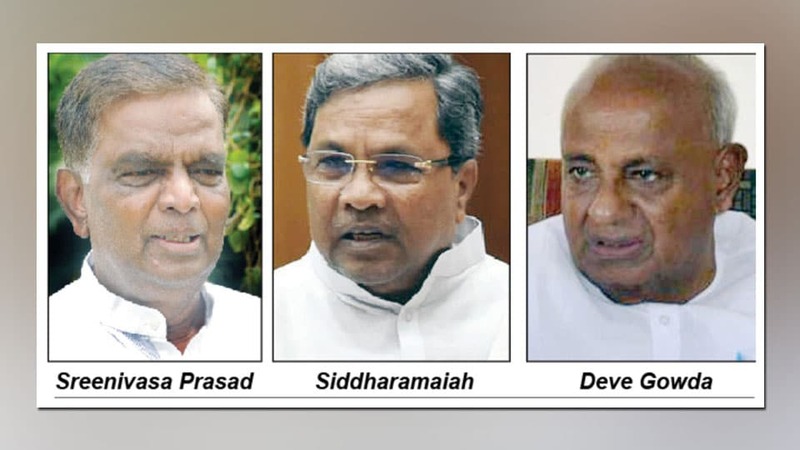 Karnataka CM Siddharamaiah too might be feeling like Indira Gandhi now that he has won both the seats in the Karnataka by-elections of Nanjangud and Gundlupet. Though there is no comparison between Indira Gandhi’s victory and Siddharamaiah’s, I am drawing a parallel looking at the euphoria seen in Siddharamaiah’s Congress camp. We have heard the aphorism often times that success has many fathers while failure is an orphan. This can’t be more axiomatic, more true than in the case of Congress victory in the just concluded by-elections. In hindsight, I liken this by-election to the Kurukshetra war of Mahabharatha considered Dharma Yuddha — a righteous war to establish truth and justice. Remember what V. Sreenivasa Prasad said? According to him this election was about Swabhimana versus Durahankara — a fight to establish self-esteem defeating pride. Humility Vs Hubris. If this is so, then one must be a Duryodhana and the other Dharmaraya. And, to wit, here Duryodhana won! But then, the roles could easily be reversed in politics. Has not Bernard Shaw wisely declared that politics is the last resort of a scoundrel? If we look at politics all over the world, we find Bernard Shaw so very absolutely precise to the letter and spirit of his statement. If someone should ask me who defeated Prasad of BJP in this by-election, I would right away say JD(S). If only JD(S) had fielded its candidate, it would have been a cake-walk for BJP’s Sreenivasa Prasad. With Sreenivasa Prasad quitting Congress, there was no one for Congress party who could take on Sreenivasa Prasad. It was for this reason, Siddharamaiah kept his pride aside for the sake of political expediency and borrowed the tested, experienced Kalale Keshavamurthy from JD(S) — courtesy JD(S) supremo H.D. Deve Gowda. Why did JD(S) oblige Congress in this way? In both the constituencies? Last Saturday, the TV9 english channel did an imitation of a ‘Walk the Talk’ with me in the Cheluvamba Park about Karnataka politics and its dynamics in the 2018 Assembly election vis-a-vis this by-election. I did not forget to recall the help rendered by JD(S) to Congress in this by-election. I said JD(S) would ask for its pound of flesh from the Congress at the time of 2018 Assembly elections. Whether it is a pre-election alliance or post-election one, JD(S) would be strongly placed at the bargaining table. Like Kennedy said, ‘Never fear to negotiate, but never negotiate with fear.’ Well, JD(S) will now go to the negotiating table with the Congress without fear. Unless the BJP gets the magic number, it would be an alliance government of Congress and JD(S) in the year 2018. Ironically the strength of the JD(S) depends not on its own base and conscious efforts but on the possible failure of either the Congress or the BJP to reach the decisive figure of 113 assembly seats in a general election.